“St Andrew", c1550, after a detail of the engraving by Giulio Bonasone (c1546) (see BM no. 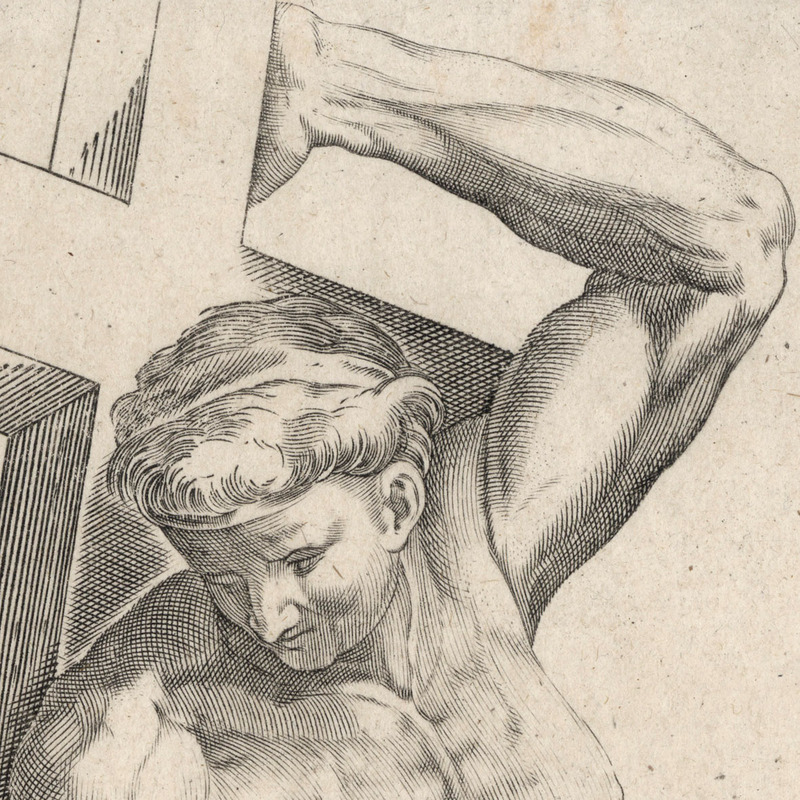 H,4.70 and the copy held by the Rijksmuseum http://hdl.handle.net/10934/RM0001.collect.85022), after a detail of Michelangelo’s (1475–1564) “Last Judgement” in the Sistine Chapel. 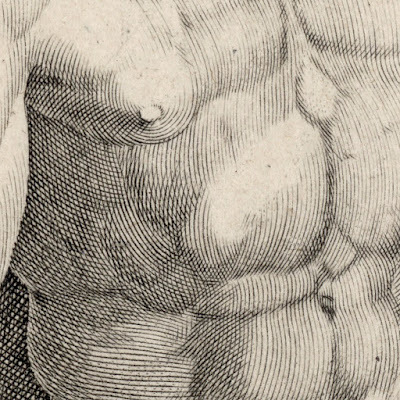 Engraving on laid paper trimmed with small margins around the platemark and re-margined on a support sheet. Condition: superb impression trimmed close to the platemark with a small restored loss (virtually invisible) to the tip of the upper left corner and re-margined on an archival support sheet. I am selling this rare engraving executed around the same time that Michelangelo was working on the “Last Judgement” in the Sistine Chapel for AU$240 (currently US$187.63/EUR153.07/GBP135.70 at the time of posting this listing). Postage for this print is extra and will be the actual/true cost. 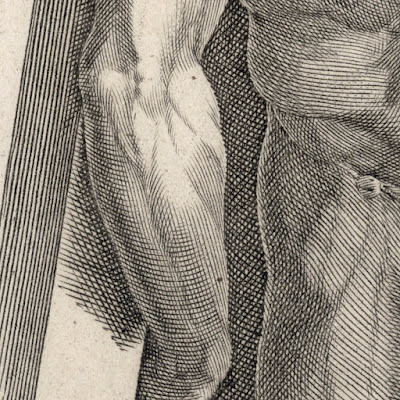 There are a few features of this engraving separating it from Bonasone’s version of St Andrew (originally titled less specifically as “Study of a Figure Bearing a Cross”) from Michelangelo’s “Last Judgement” in the Sistine Chapel. 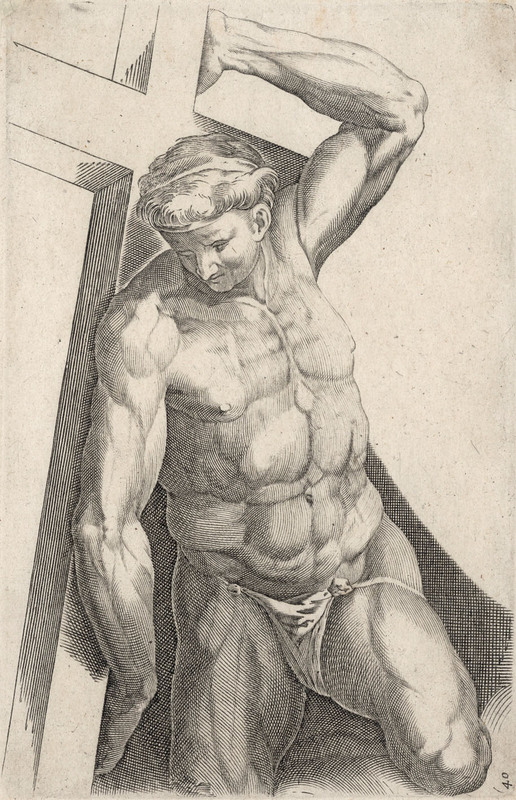 For example, the figure immediately behind St Andrew has been omitted and the composition shows a closer view of the saint with the added modesty of a loin cloth. Nevertheless, both prints share the same stylistic leaning to what Madeline Cirillo Archer (1995) in her commentary volume on the TIB catalogue raisonné (vol. 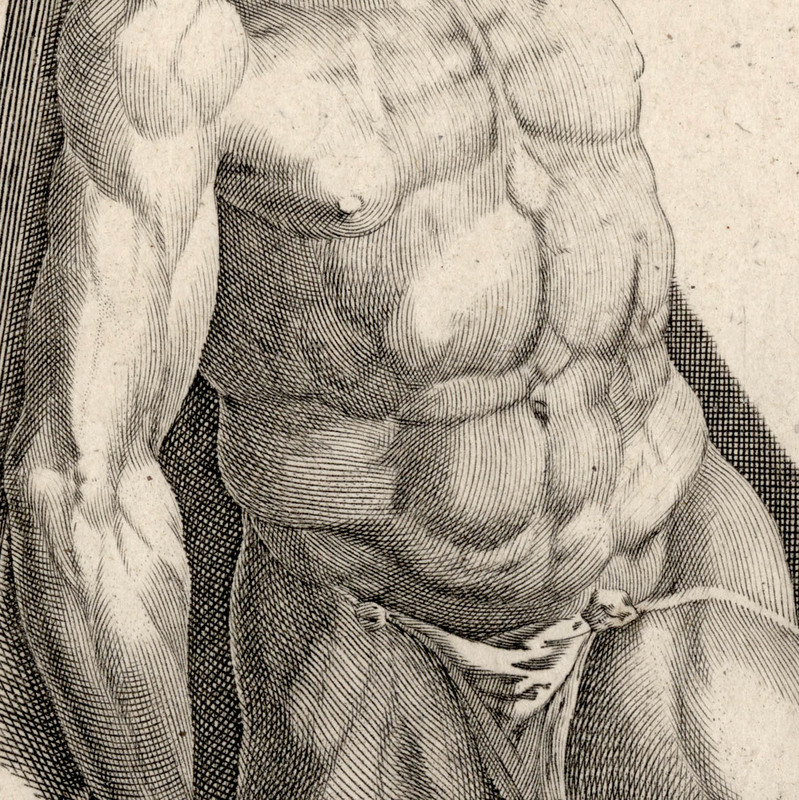 28) describes as Marcantonio Raimondi’s “technique and sculptural approach” (p. 287). Regarding this approach, Archer explains that in the late 1540s Bonasone had a “developed understanding … for the plastic potential of burin work that follows the volumes of the body” (ibid). 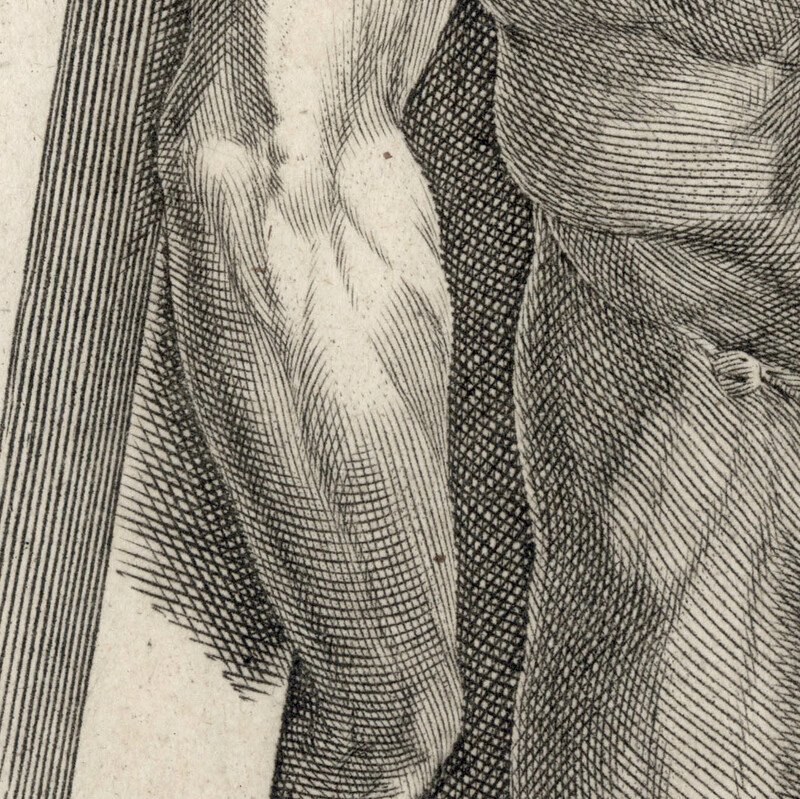 Interestingly, just as this unidentified engraver has omitted details from Bonasone’s print, so too had Bonasone omitted details from Michelangelo’s composition. This notion of only keeping what the reproductive artist perceived to be significant features of an original composition, however, was a fairly standard practice during the Renaissance era and was certainly a practice that even Raimondi engaged in. To help explain the need to change compositions, Archer (1995) proposes the following insight into Bonasone’s selective process: “Bonasone has separated the group [St Andrew and the figure behind him] from its crowded environment and created a new composition which, in its isolation, magnifies its power” (ibid). 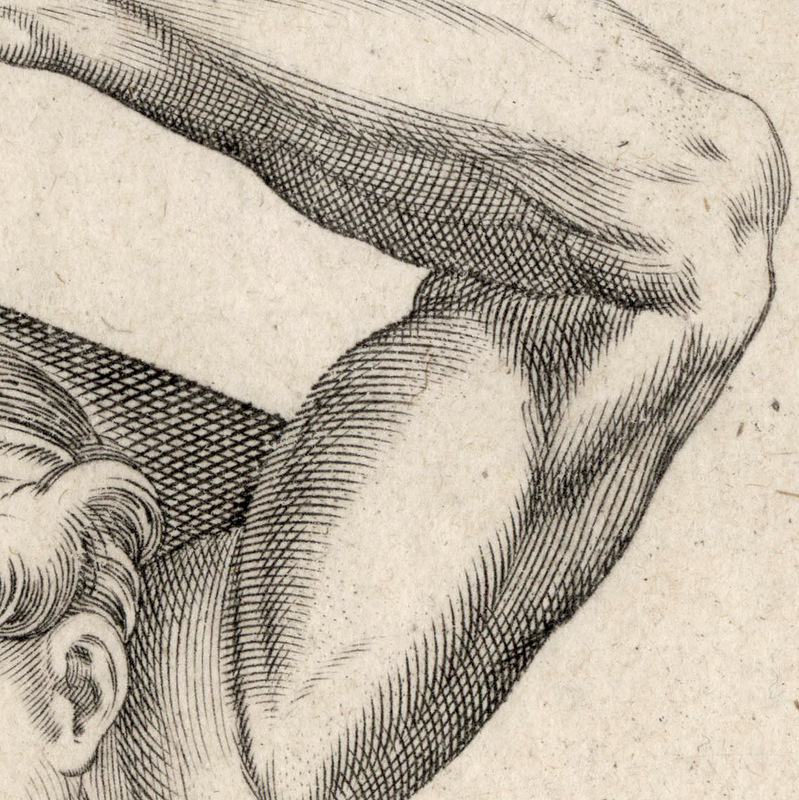 “… Bonasone seems purposely to minimise his own virtuosity, employing relatively simple means to render the figure. 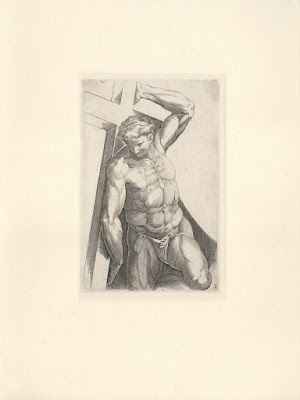 He depends on design—the precise placement of the figure on the plate and the stark contrast between black ink and pale paper—for visual drama and employs a minimalist combination of relatively long, parallel, curving lines, simple cross hatching, and selective stippling to reveal the rotundity of muscles and the massive solidity of the figure.” (p. 368).